Fujifilm X-T2 camera, Fujinon XF 16-55mm f/ 2.8 R LM WR, Fujinon XF 50-140mm f/ 2.8 WR OIS, Apple 12.9 inch 64GB iPad Pro & Apple Pencil (donated by Affinity Photo), year-long Digital Camera magazine subscription. Their winning photos will also be published in the magazine and displayed at The Photography Show 2018. 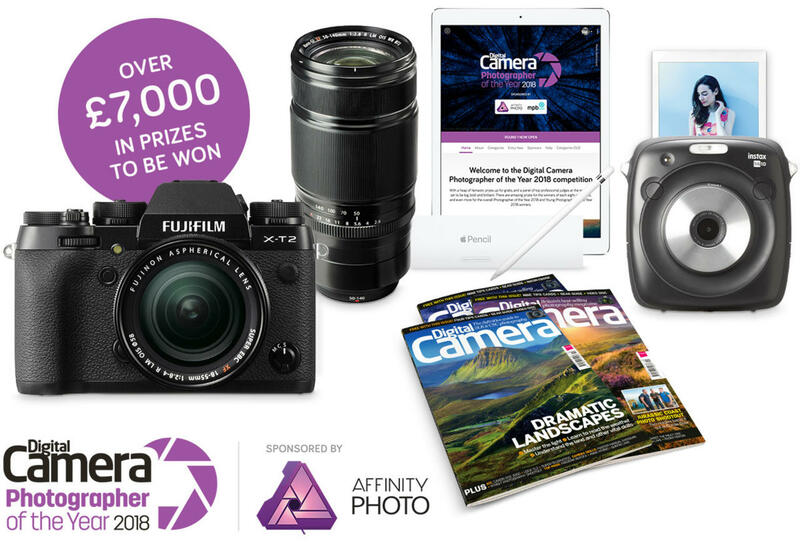 Winners of the individual categories, as selected by our panel of expert judges, will receive a Fujifilm Instax SQ10 camera, Affinity Photo software and the Affinity Photo Workbook.